Congratulations! Now that you have successfully installed the Inspire Planner App on to your Salesforce organization, you are almost ready to start creating your project plans. Follow the remaining simple steps below to complete the application setup. Navigate to the Inspire Planner Settings page by clicking on the App Launcher and then clicking Inspire Planner Settings under All Items at the bottom of the page. Navigate to the Inspire Planner Settings page by clicking on All Tabs and then clicking Inspire Planner Settings. 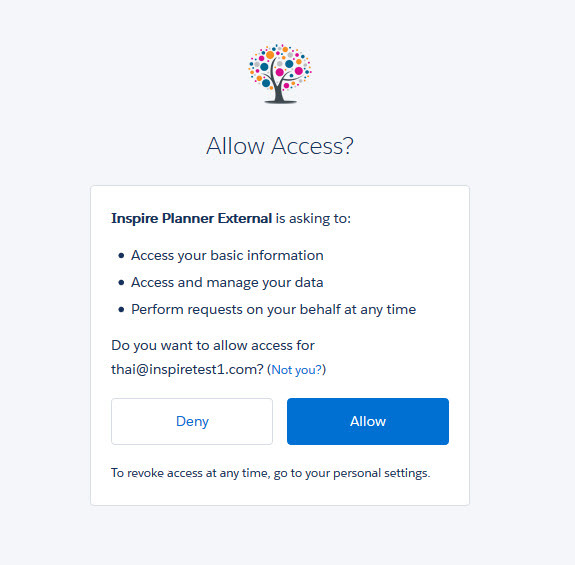 The Inspire Planner Settings page provide you with the option of enabling certain features that come with the Inspire Planner App. For both Salesforce Lightning and Classic users, you are presented with the same Inspire Planner Settings page. Please see a description of each setting below. 1. Run Post Install Script - Allows you to manually run the post install script. Please note that the post install script would have automatically run after you installed the Inspire Planner App. There is no need to run the post install script again. 2. Enable sharing of projects to external contacts - This feature is only available in Production environments (not available in Sandboxes). This feature will allow you to share your project externally with Contacts in your database. When enabled, Contacts assigned to a project task are sent an email with a link to the project and they are able to access the project from our external project portal (https://projects.inspireplanner.com). When enabling this feature, you will be prompted to grant access our external viewer to connect with your Salesforce org. Make sure you click on Allow. 3. Enable Start Date for Salesforce tasks - Inspire Planner Project Tasks contain both a Start and a Finish Date. Salesforce Tasks, however, only have a due date. Since Inspire Planner Project Tasks map to Salesforce Tasks, this feature adds a Start Date to your Salesforce Tasks. You have the option of using the default Start Date field that is included with Inspire Planner, or map it to a different date field. 4. Enable Contact task assignment notification - Enabling this feature will automatically send an email notification to your external Contacts when they are assigned a project task. This feature works in conjunction with the Send task notification option under Settings for each project. Notification emails will only be sent if both settings are set to Enabled. 5. Enable time tracker - This will enable the time tracking functionality within Inspire Planner. 6. If Time Tracker is enabled, you also have the option of adding the Time Tracker visualforce page to other objects in Salesforce. For example, adding objects like Account or Case will allow users to log time against these records, in addition to their Project Tasks. Review the following articles to update your Task/Activity page layouts with Inspire Planner related fields and your Account page layout with the Projects related list.